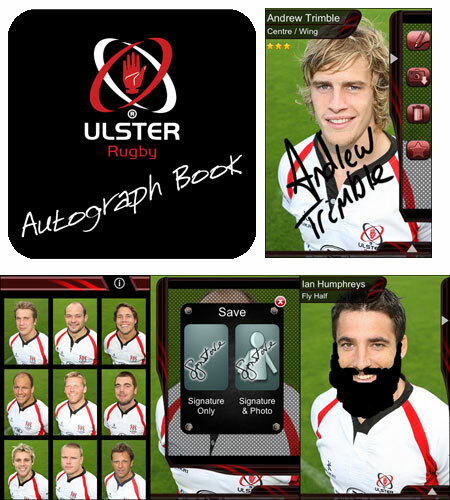 EyeSpyFX is pleased to announce the Ulster Rugby Autograph Book. and is a great little application for any fans of the Ulster Rugby team. The Autograph application that has been dubbed an “Appograph” is shaping up to be a wonderful little application. Easy to use, nice to look at and great user experience – look out for more Autograph Books from EyeSpyFX for your favourite teams.